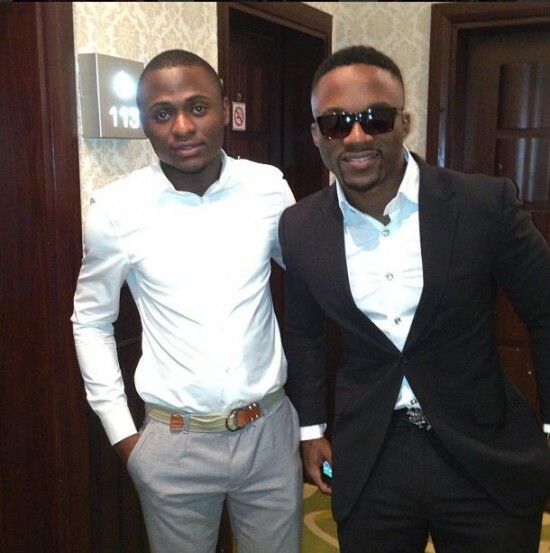 Speaking at an interview Ubi Franklin stated that he is happy for his former partner and does not feel betrayed by his move to a competing music label. News broke this morning that your former partner, Iyanya has signed onto Don Jazzy's music label, Mavin Records. We would love to know your stance and reaction to this? This is music business and everything you do - as far your music is right and you are making the music for the world, it doesn’t depend on the label that you are in for all to enjoy it. I'm happy he is where great music comes out from, a label with one of the best music producers in Africa. I'm so happy for him, today is his birthday and I wish him all the best. We are all human beings; today Iyanya is 30 by age. As a 30-year-old man, you are able to take any decision on your own, you can change your mind, you can do whatever you want to do. The most important thing is that from what I've seen, trust me he is happy. Nobody takes a decision that is going to be bad for him.. I still know he still has his own plans for his Label. But at this point, I know Iyanya is where good music comes from. So you don't feel betrayed? No No! The only way I will feel betrayed is if there was something he owed me and he didn’t give back to me, but there is nothing like that. I'm happy for him. That’s the funny thing about music, everything is possible. When you see people in music having issues, just leave them, the wheel goes round, if you check my snapchat, I'm always dancing to his music. There might be a future collaboration, I'm open to anything. I'm a business man, there is nothing we are fighting for.